It's been years since our writer donned a tutu. 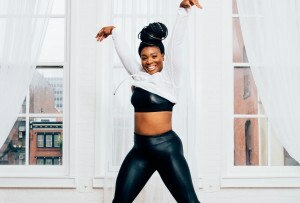 Here's what happened when she flexed her ballerina muscles at an adult beginner class in Old City. By Christine Speer Lejeune·	 5/14/2012, 2:44 p.m. I should note here that while I had long since stopped taking ballet, I never really stopped dancing. I’ve done ballroom classes, various forms of choreographed aerobics, tap lessons, salsa, Zumba, various Lithe dance-like classes, and, lately, something called impact jazz. 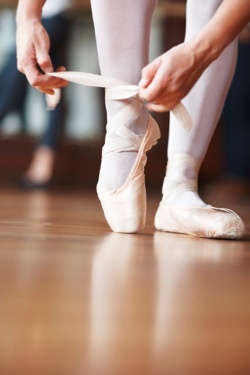 But when I had the chance to try an actual ballet class—not some hybrid Pilates/Barre/Ballet exercise session, but actual dance class for grown-ups who wanted to learn how to pirouette and bourree—I was a little nervous: Would it be fun? Would it be exercise? Would I look ridiculous? Could I even do this anymore? Turns out, the adult beginner ballet class at Philadelphia Dance Academy (a tidy studio tucked in a secret corner of Cuthbert Street in Old City) is fun, and I most certainly could do it. The class I attended was actually part of an 18-week course that students commit to attend weekly. I visited toward the end of the semester, so my classmates were reasonably accomplished in the moves and mini-routines of dance combinations. (There’s also an intermediate course for people who come in at a higher level, or who have finished the beginner sessions.) And while, yes, I might have looked a little ridiculous at certain moments, that’s true of every dance class I’ve ever done. You should have seen the “stomp gospel” routine I recently attempted in impact jazz: My tolerance for dance-related humiliation is high, so long as the payoff is enjoying myself. Reader, I did enjoy myself. I’m happy to report that even though I haven’t done a demi-plie in decades, the 10 or so years I’d put into ballet way back when miraculously came back to me. (Muscle memory will never cease to amaze.) Even if it had not, the class is so gently paced and utterly without pressure, I think that under the exuberant guidance of owner/instructor Lori Lahnemann, I would have mastered many of the movements. Or at least adequately mimicked them. As for the exercise level, I felt as limber and stretched out post-session as I do after a moderately paced yoga class, and even got my heart rate up a bit here and there. 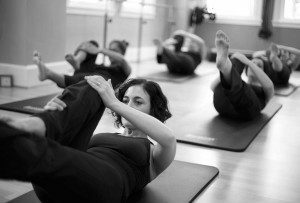 And more importantly, I found it extremely gratifying to take all that core work I’ve done in various Pilates and Lithe classes all these years and to apply it in this very real, very practical way. There’s something satisfying about sucking in and tucking under not because it’s best practice in terms of form, but because you have to in order to not fall over. And all the while, you’re doing something that looks pretty to boot. The best part, though—the real payoff—was remembering that exhilarating feeling of letting go and leaping high enough to catch real air as we flung ourselves across the studio. The move is called a jete, and in the privacy of the alleys and deserted streets on the way back home, I practiced it, watching my shadows leap along with me, looking graceful. >> Be Well Philly contributors test out all kinds of Philly area fitness classes so you don’t have to. Check out all our I Tried It posts.